It is important to know your rights if you've been driving under the influence. At the law firm of Stephen F. Cashman Attorney at Law, you'll receive aggressive DWI and DUI defense. 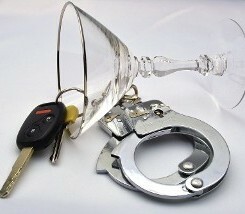 Our DWI/DUI lawyer has provided effective representation for clients for more than 32 years. He knows how to be tough in the courtroom yet compassionate with his clients. Regardless of the charge, there is often a way to reduce the sentence and decrease the fine. In fact, our experienced DWI lawyer can sometimes find holes in the state's case, as well as incorrect investigation procedures that could dismiss your charges altogether. Under Connecticut DUI law, .08 BAC (blood alcohol content) is the legal limit. For the average person, one drink an hour keeps the BAC under.08. Still, you should not drink and drive, no matter how much you've consumed. That's because you can be impaired even if your BAC is at or below the legal limit. Drunk driving laws are complex. You can't afford to go to a DUI attorney that is untested and fresh out of law school. Since Connecticut drunk driving laws are some of the toughest in the country, you need an experienced and knowledgeale attorney that knows the legal system inside and out. Stephen F. Cashman is a DUI/DWI attorney that has an excellent reputation for winning cases and taking some the stress out of the experience. Even if you have admitted using alcohol or an illegal controlled substance while driving, you shouldn't think that admission of guilt will lessen your sentence. Instead, you need a skilled DWI lawyer to explain the charges to you, the penalties, and provide better options and results for your case. Contact us for DUI defense when you've been charged with your first offense. We proudly serve clients in Hartford, Bloomfield, New Britain, East Hartford, West Hartford, Manchester, Newington, Bristol, Enfield, Windsor, Wethersfield, and Rocky Hill.